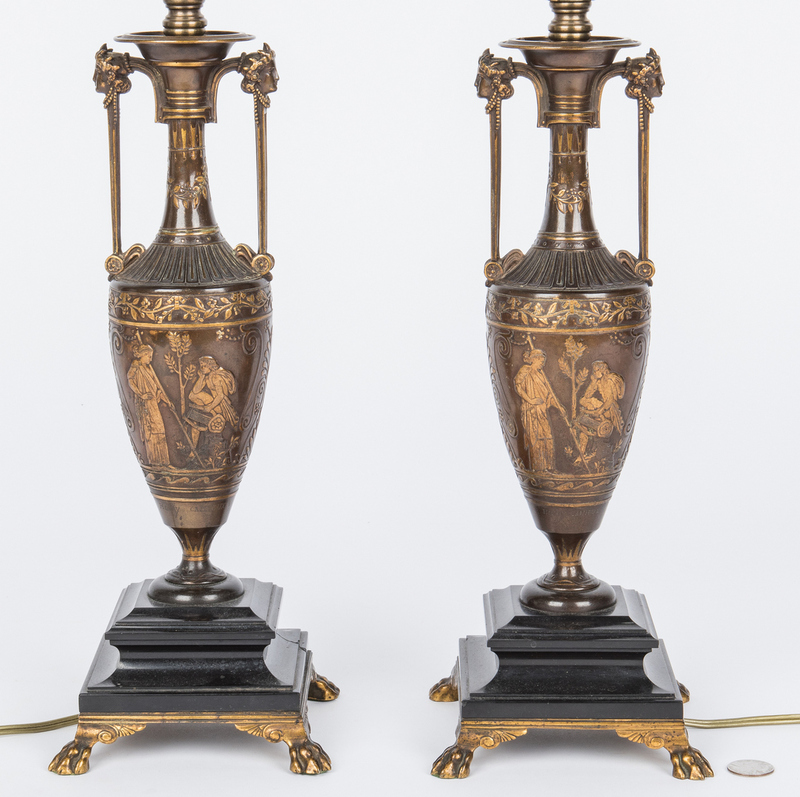 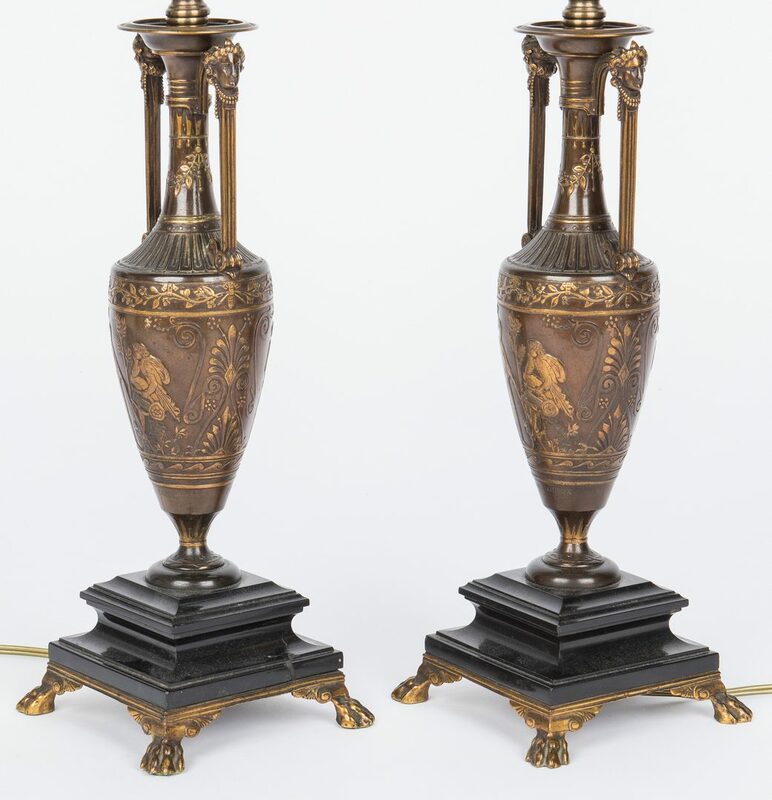 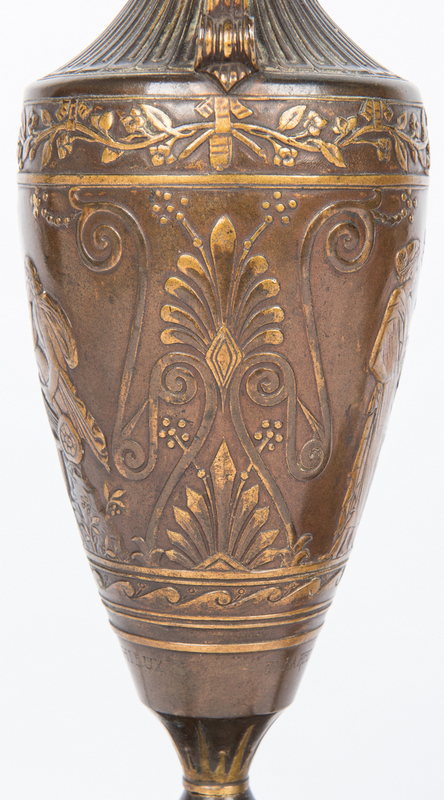 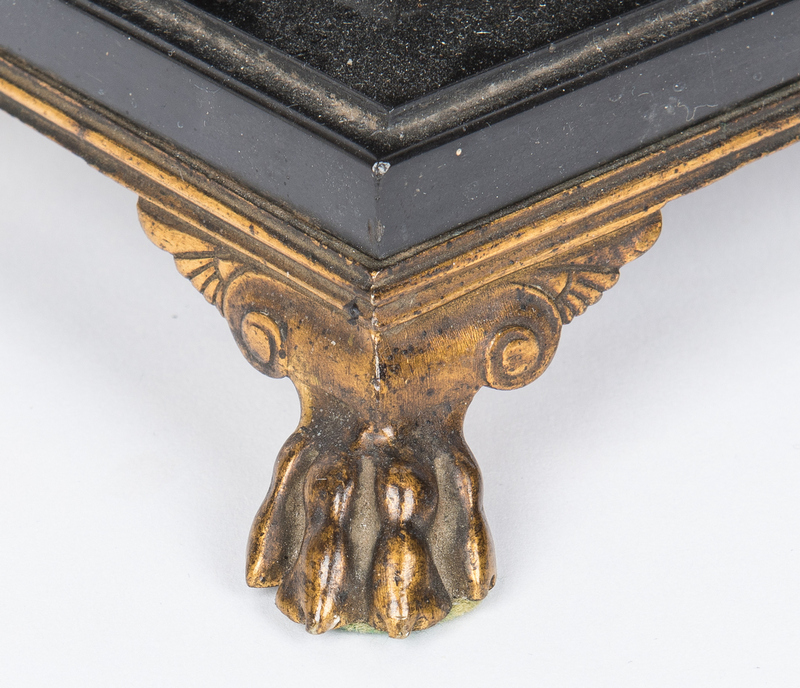 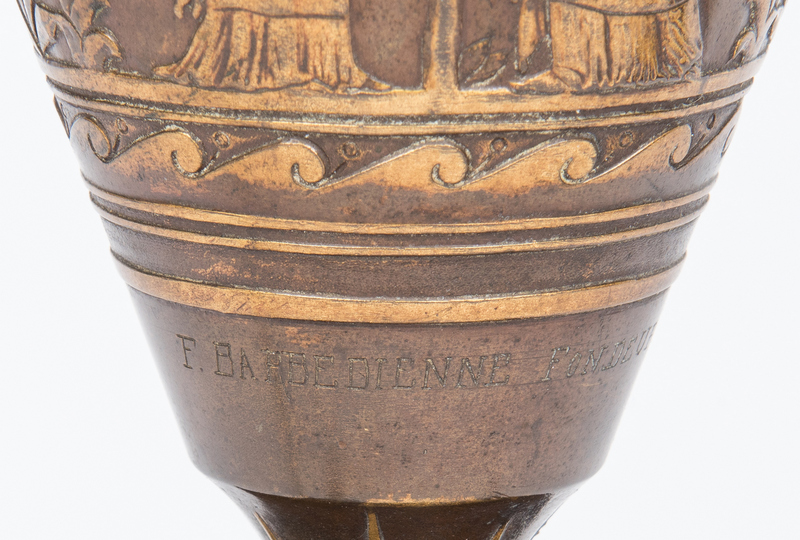 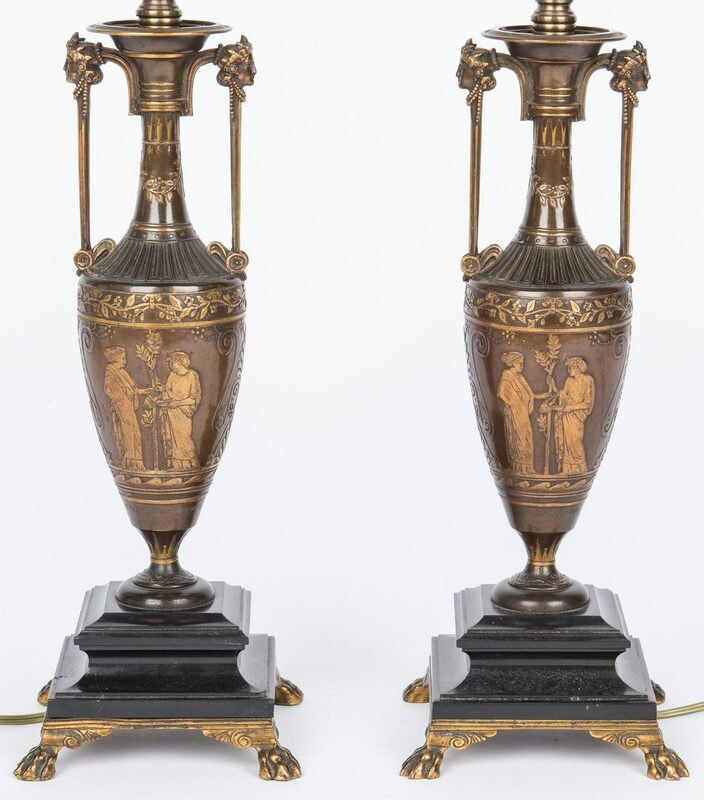 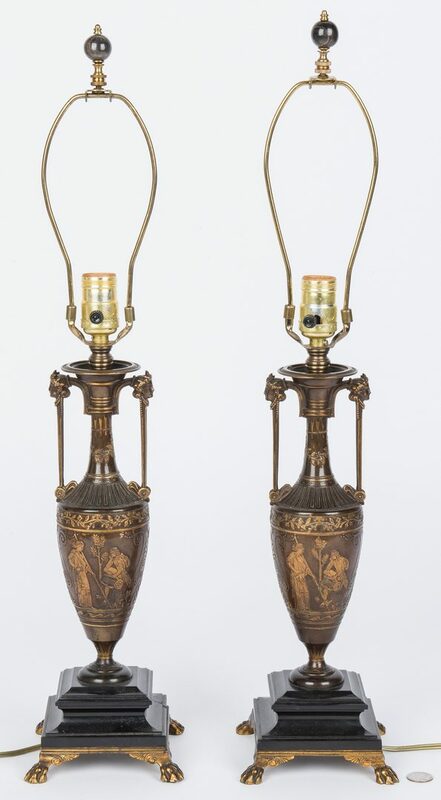 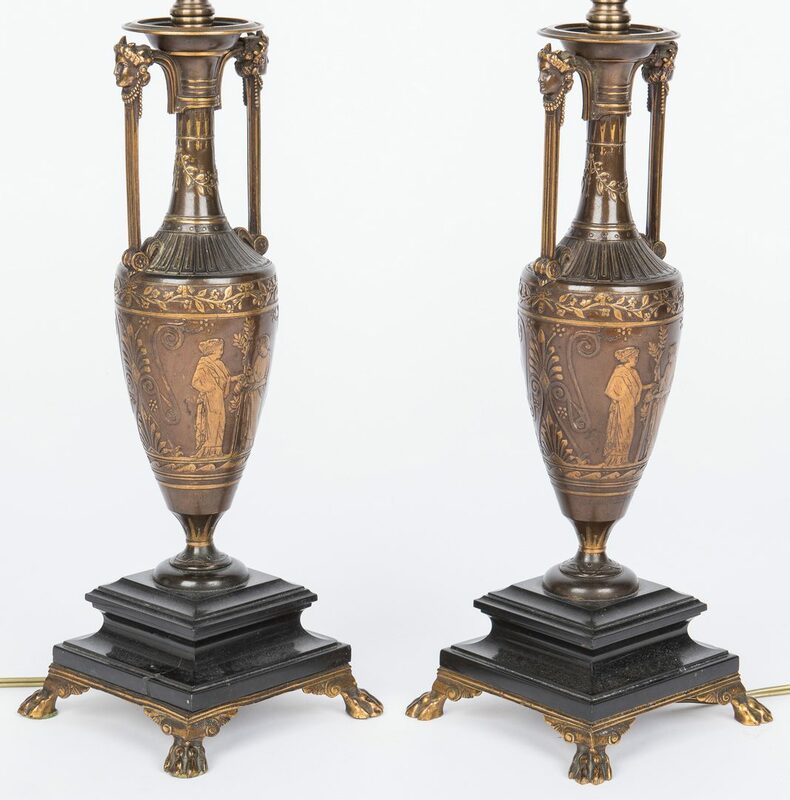 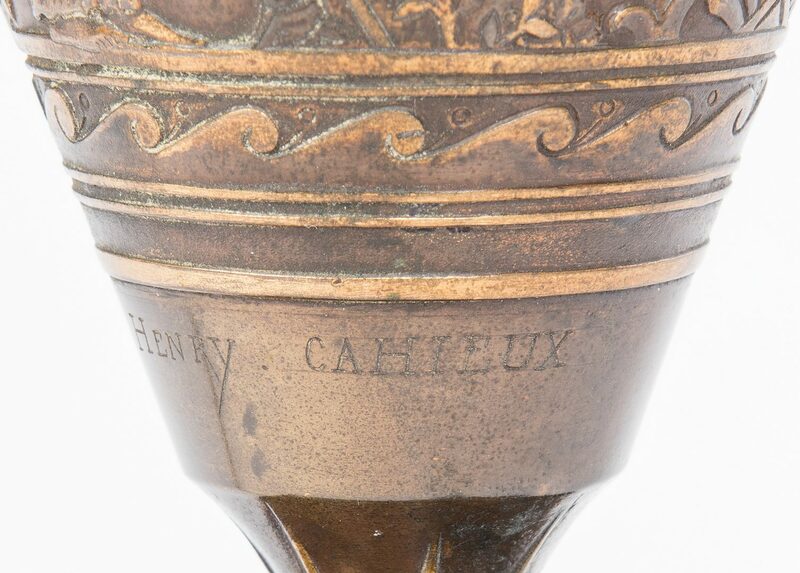 Pair of French bronze lamps, formed as amphora with classical mask and bas relief decoration, foundry mark F. Barbedienne (Ferdinand Barbedienne, French, 1810-1892), signed Henry Cahieux (Sculptor, French, 1825-1854), mounted on black marble stepped base with gilded bronze mount with paw feet, marked 429N3 on base. 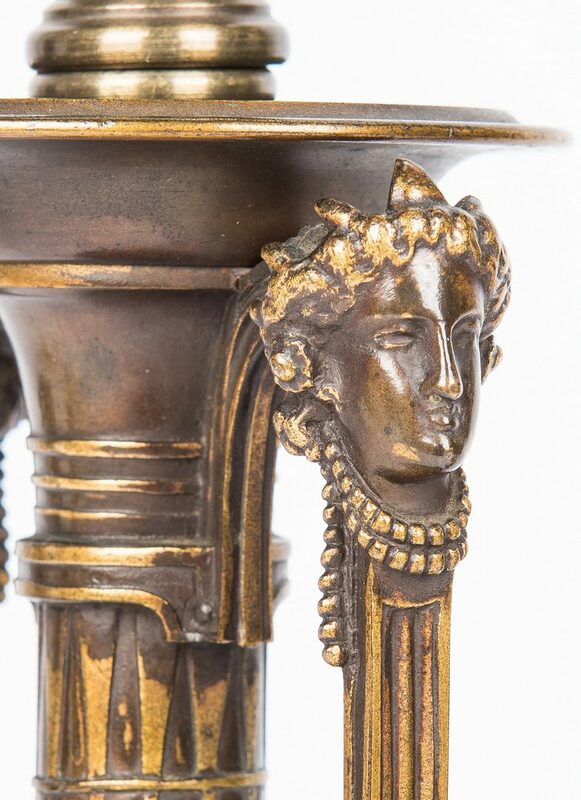 27" to top finial. Provenance: A Nashville, Tennessee estate. 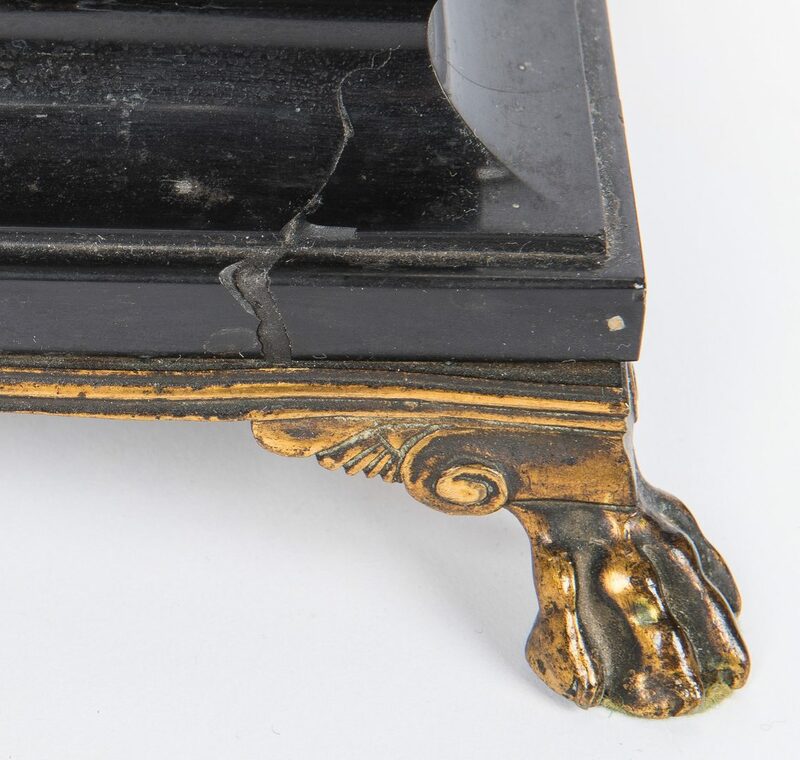 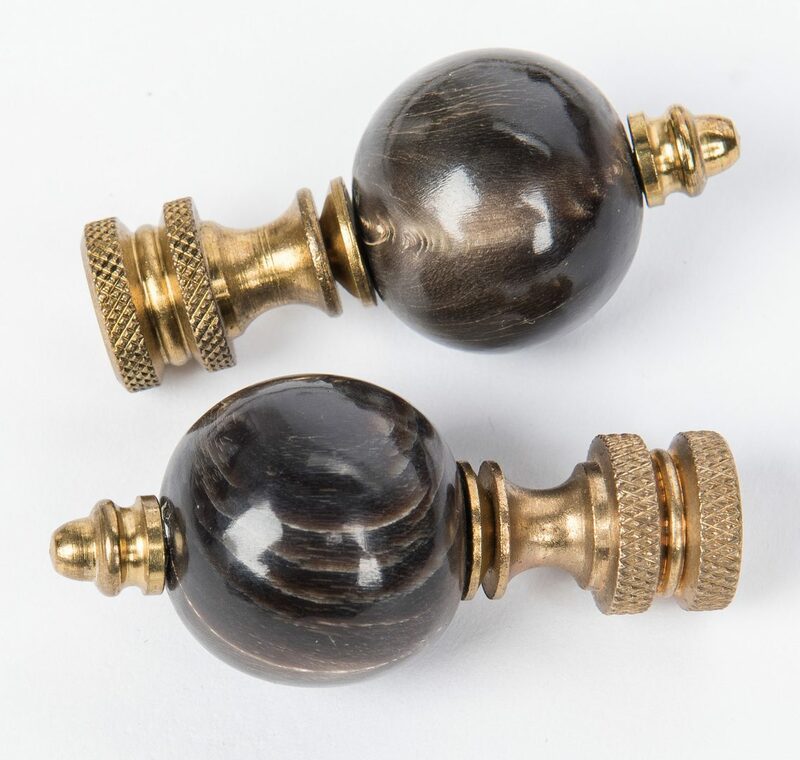 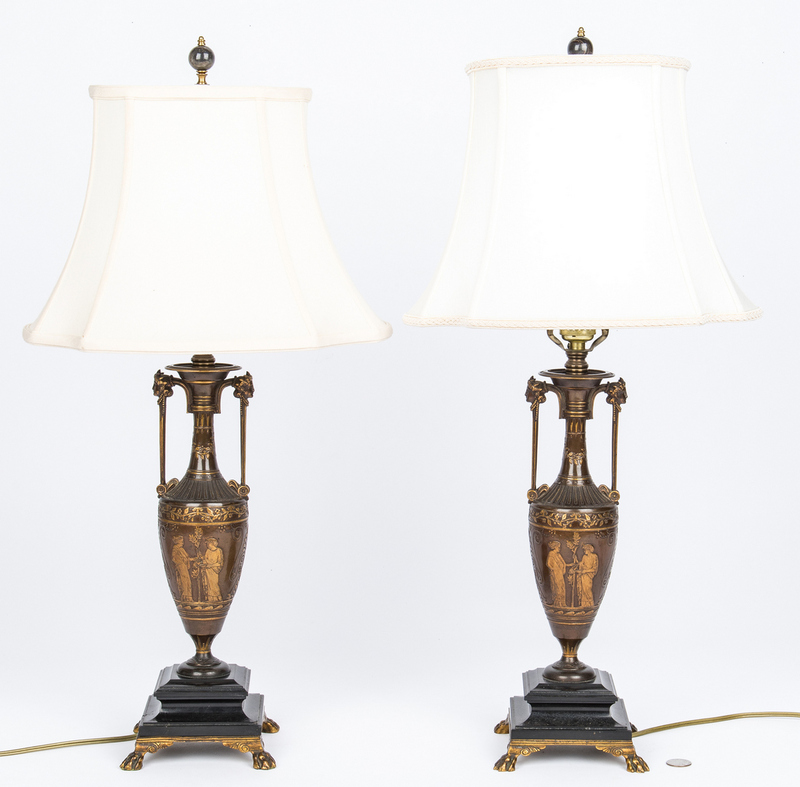 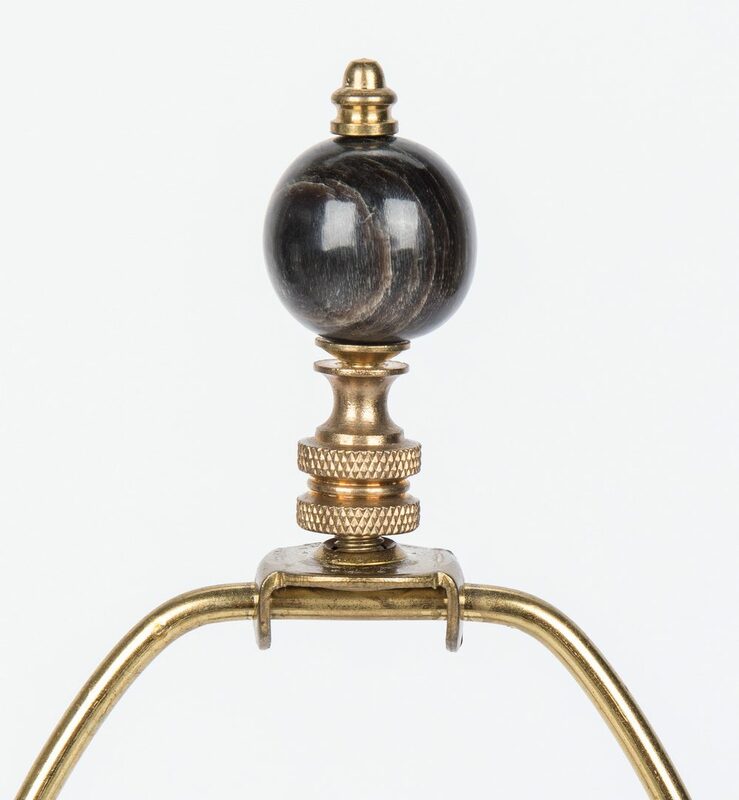 CONDITION: Black marble stepped base of one lamp with one inch long crack/chip.